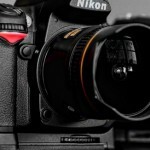 Published on January 17, 2012 by Vincent Framularo in Uncategorized | Permalink | Comment RSS	| Trackback URL. If you’re a real estate broker using FullScreenPhotos.com, you can create effective virtual tours on REALTOR.com listings easily from your FullScreenPhotos.com account. As mentioned in our post More Effective Real Estate Listings, users can easily share their FullScreenPhotos.com slideshows on their REALTOR.com® listings for free, as long as they utilize the showcase listing feature on REALTOR.com. Agents simply upload photos to FullScreenPhotos.com, input their REALTOR.com Multi Listing Service I.D. and property information, and the photos are automatically added as a virtual tour on REALTOR.com within the hour. 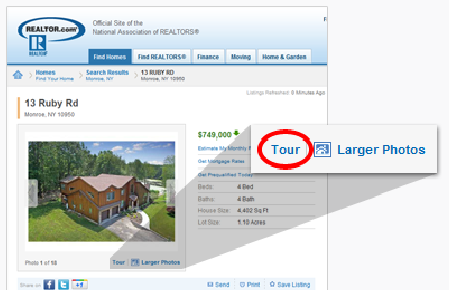 For a live example of a virtual tour by a FullScreenPhotos.com user, visit this Realtor.com listing and click on the “tour” link as shown in the picture below.